Let's get right out there and say it. We've all be burned by store-bought hummus before. Too bland, too salty, strange add-ins, or full of preservatives, it's always a bit of roulette when picking out a new hummus. First we will use use the trusty and fantastic quick-soak method for beans (it works for chickpeas and garbanzo beans, too!). Rinse your dry garbanzo beans under cold water, then pour them into the inner pot of your pressure cooker and cover with cold water by about an inch. Lock the pressure cooker lid in place and set the steam vent handle to Sealing. 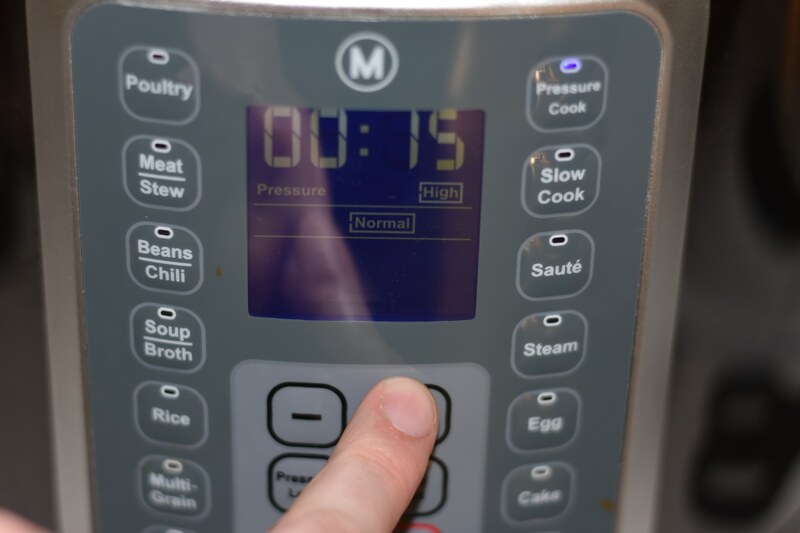 Select Pressure Cook (manual) and cook on High Pressure for 1 minute. Turn the steam vent handle to Venting to quick-release the pressure, then drain and rinse the beans. Now your chickpeas are ready for the main cooking event. 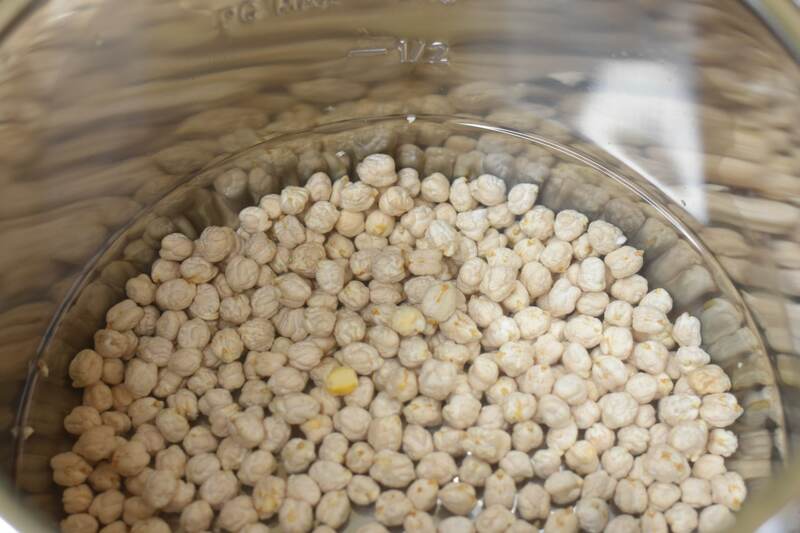 Put those chickpeas back in the pressure cooker and add water at a 4 to 1 ratio (2 cups chickpeas, 8 cups cold water). You can go crazy here and add a teaspoon of olive oil and a bay leaf. Lock the pressure cooker lid in place again and set the steam vent handle to Sealing. Select Pressure Cook (manual) and cook on High Pressure for 15 minutes. Let pressure release naturally. At this point the chickpeas should be tender. Give one a taste and if it's tender, it's ready. If it's a little al-dente, lock the lid back in place and cook on High Pressure for 5 minutes more. Drain the chickpeas again, but this time, save about 1 1/2 cups of the cooking liquid. 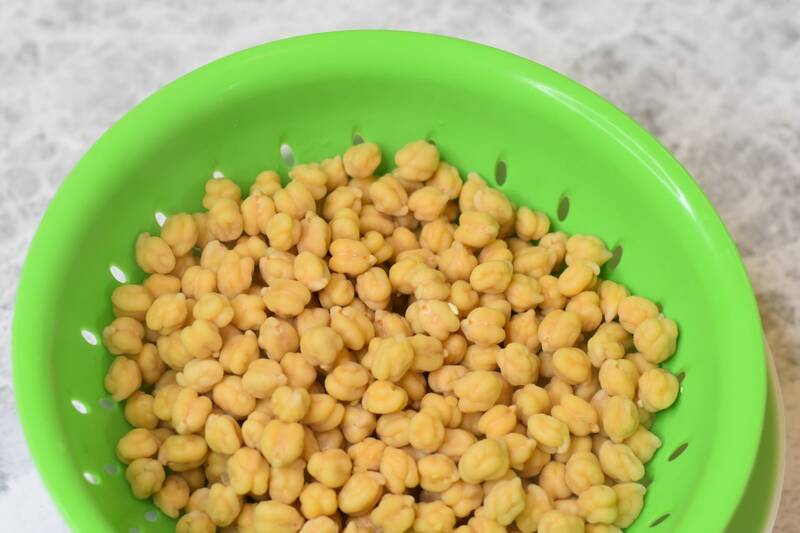 Transfer the chickpeas to a bowl and gather your goodies. For this recipe (ingredient amounts listed at the beginning of this article) I used tahini, lemon juice, olive oil, salt, pepper, cumin, and paprika. 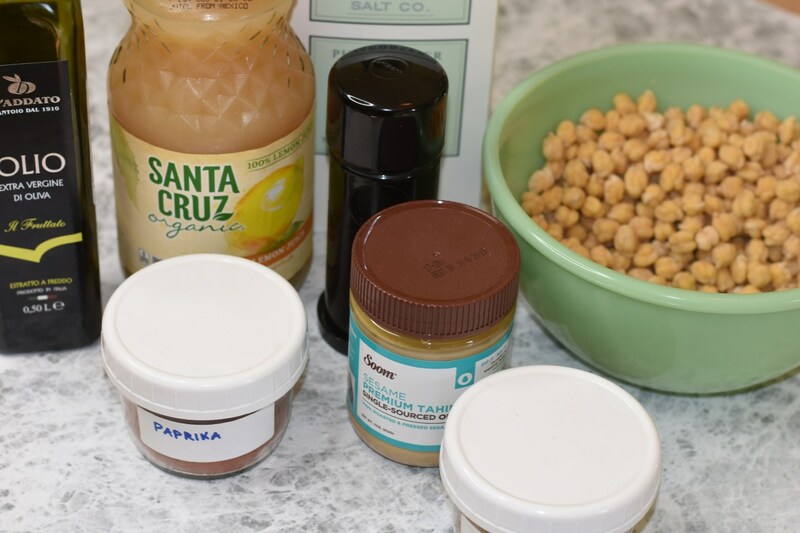 Add 3/4 cup of the reserved cooking liquid, tahini, lemon juice, garlic, salt, black pepper, paprika, and cumin to the chickpeas and blend using either a food processor or stick (immersion) blender until the chickpeas are well blended. If it's looking pretty dry, add a bit more of the reserved cooking liquid. While your food processor or stick blender is running, slowly add the oil until the desired consistency is reached. Here's where you can season to taste. After you're seasoning is done, refrigerate the hummus until cold, at least 1 to 2 hours. 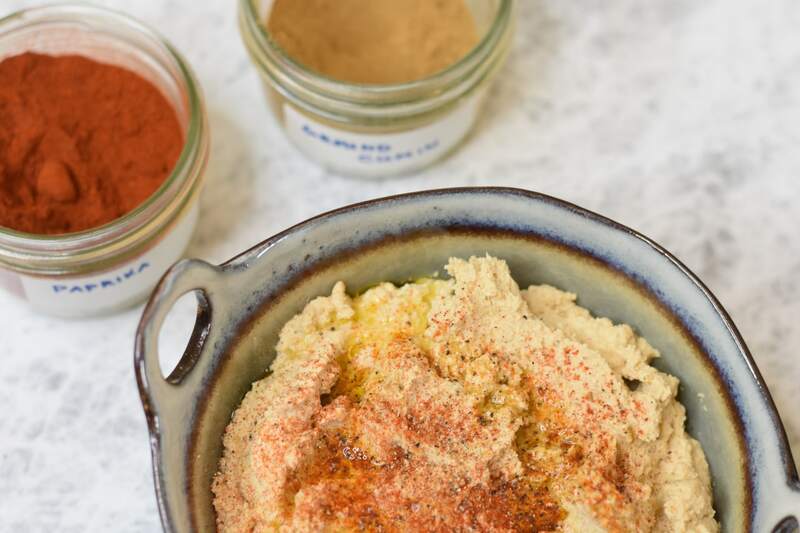 To serve, transfer the hummus to a serving bowl and sprinkle with paprika, cumin, sea salt, and black pepper, then drizzle some olive oil over the top. Bon appetit!